How nice were those few days of sunshine that finally made their way through?! In typical British fashion I immediately felt like I needed a G&T, a pair of sunglasses and an outdoor terrace. Perfect timing ahead of the summer bank holidays starting this weekend. Easter may be early this year, with a very real chance of rain, even snow (!) 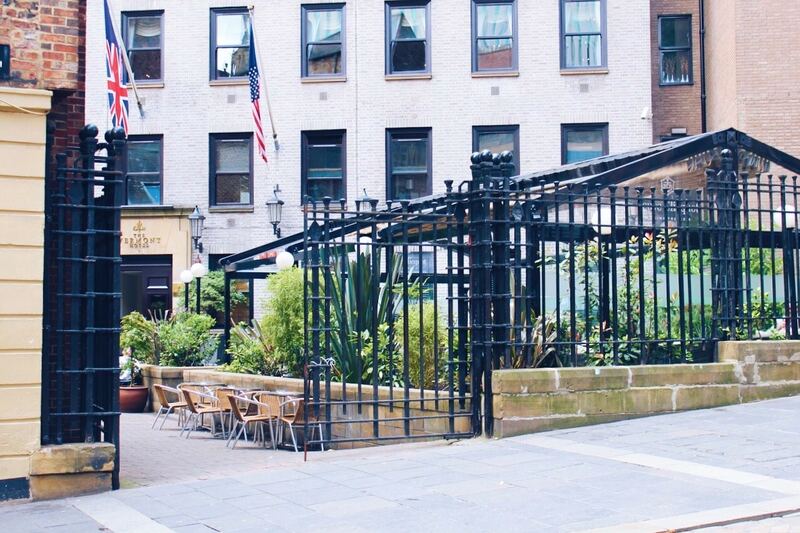 but I’ve put together this list of bars and pubs in Newcastle that have an outdoor terrace to see you through the summer. Since I first wrote this post the fabulous By The River Brew Company has opened the container community on the Gateshead side of the river, right underneath the Tyne Bridge. 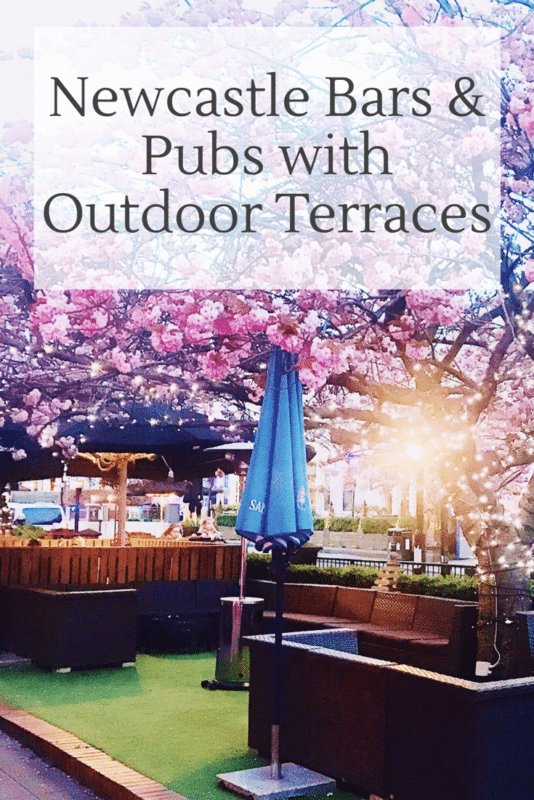 Out of all the outside terraces and spaces this is one that you absolutely have to get yourself down to this summer and while the weather is still good. There’s grass space for families or if you want to just sit and enjoy the view, there’s picnic tables, restaurants such as Trakol open fire kitchen, a coffee house and a cocktail bar. At weekends the food market opens with both resident and guest food options, including Lola Jeans burgers, Dabawal and pizzas. I hope its stays forever and turns into a winter wonderland at Christmas too. This one had to be first because it’s one of the biggest, with the best view, and one of the hardest to get a seat on pretty much year round. 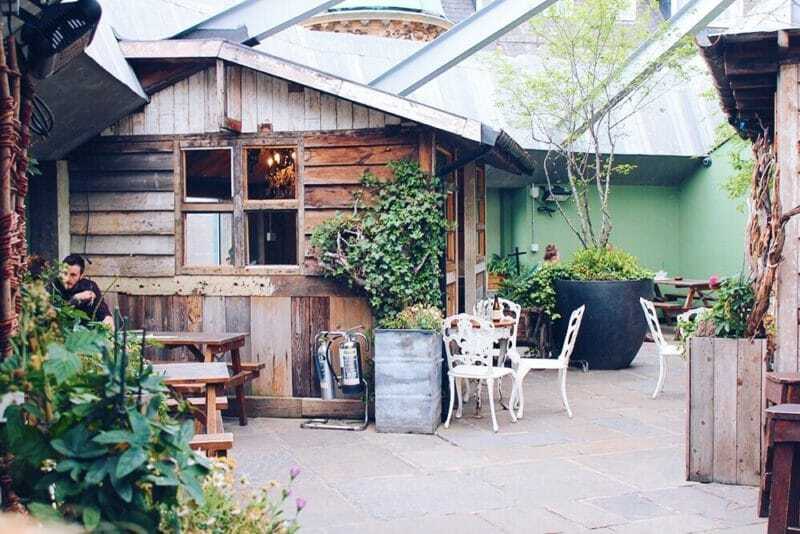 The Botanist rooftop terrace has a mix of picnic benches, little wrought iron tables, and the more private garden sheds. 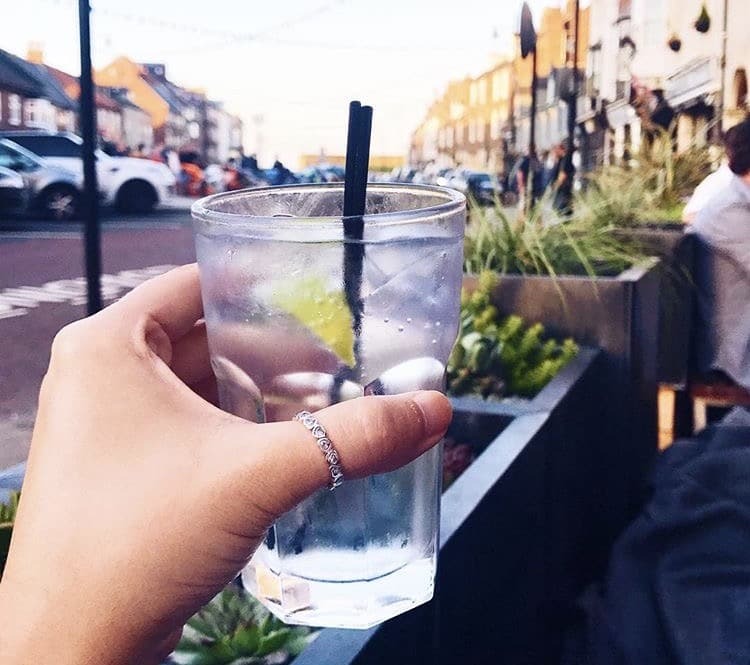 There’s plenty of seating with a city view straight over Monument and Grey Street, and there’s a bar out there too so you don’t have to go far to keep your drink topped up. 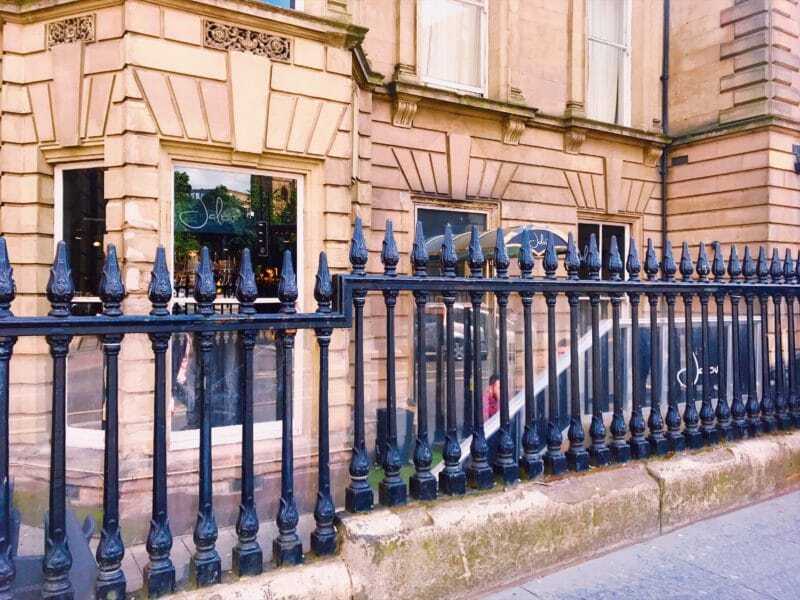 Located in the old bank building on Grey Street, Bar Luga is a good one for after work drinks or a casual couple if you get fed up of shopping. They revamped their outdoor area last year I think, so it’s now much bigger with tables, parasols and plenty of seating. I’ve grouped these ones together because they’re all on Grey Street and all have small outdoor areas in the form of one row of tables and chairs outside the front. 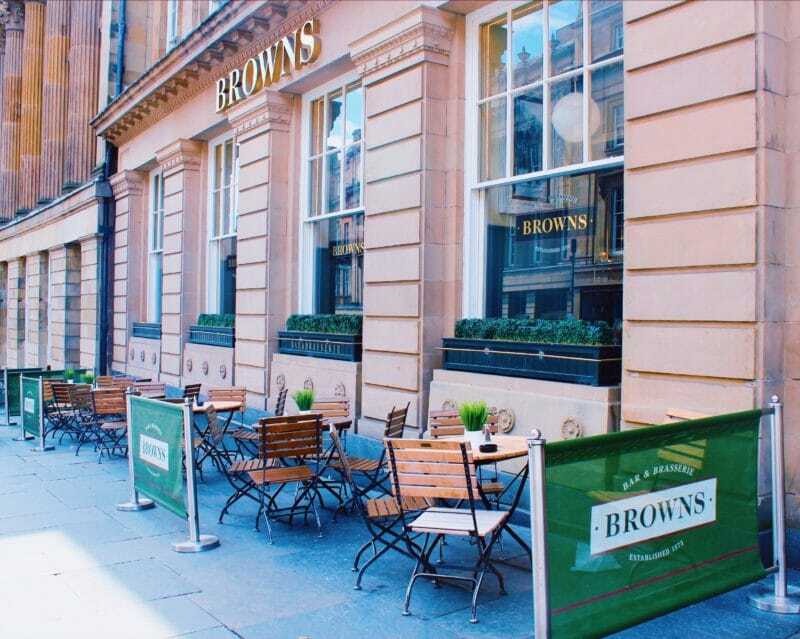 You have to time it right to be sat outside one of these bars in the sun, but they’re great for people watching the crowds that swarm by up and down Grey Street. 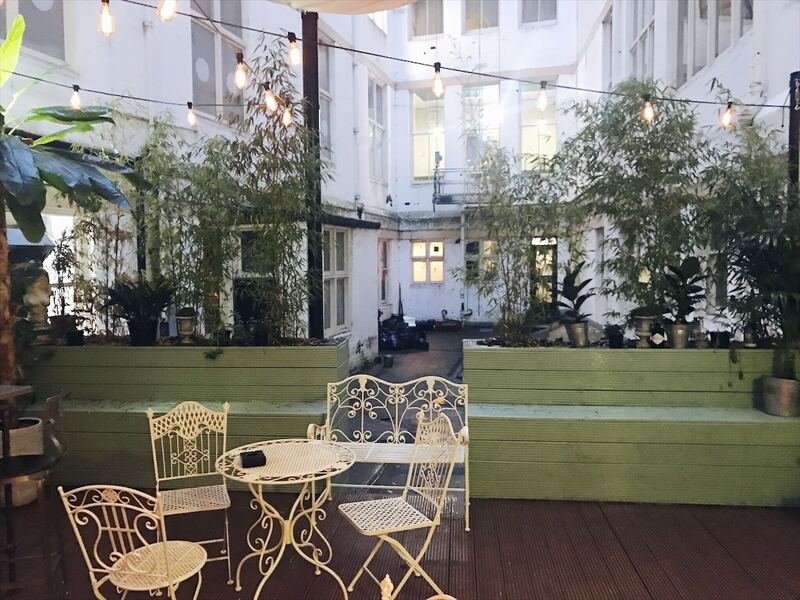 Out the back of Pleased to Meet You on High Bridge Street, you’ll find an outdoor but partially covered terrace decorated more like a private yard or a greenhouse. There’s tables and high benches surrounded by plants and it’s often forgot about. If you can get a table its sheltered and very pleasant to spend a summer evening with one of the many gins on offer. I still think they could have named this place better, but further along High Bridge Street from Pleased to Meet You is YOLO townhouse. One of the bank holidays last year my friends and I spent a good few hours on this small but lively terrace, complete with DJ and handy bar on the top floor. Colonel Porter’s rum bar and tavern can be found on Dean Street, and their Botanical Garden out the back is a small spot to enjoy a cocktail or two. A nice one to start at if you’re planning on heading along the quayside rather than up the hill. I have a love hate relationship with this place, I hate it on a night out, but love it for summer outdoor drinks on their terrace. There’s a lot of seating, so usually not too much trouble to get one, and last year I spent many a Sunday Funday enjoying their seasonal gin globes. It’s far less pretentious, and much more chilled and enjoyable through the day and early evening than later on at night. 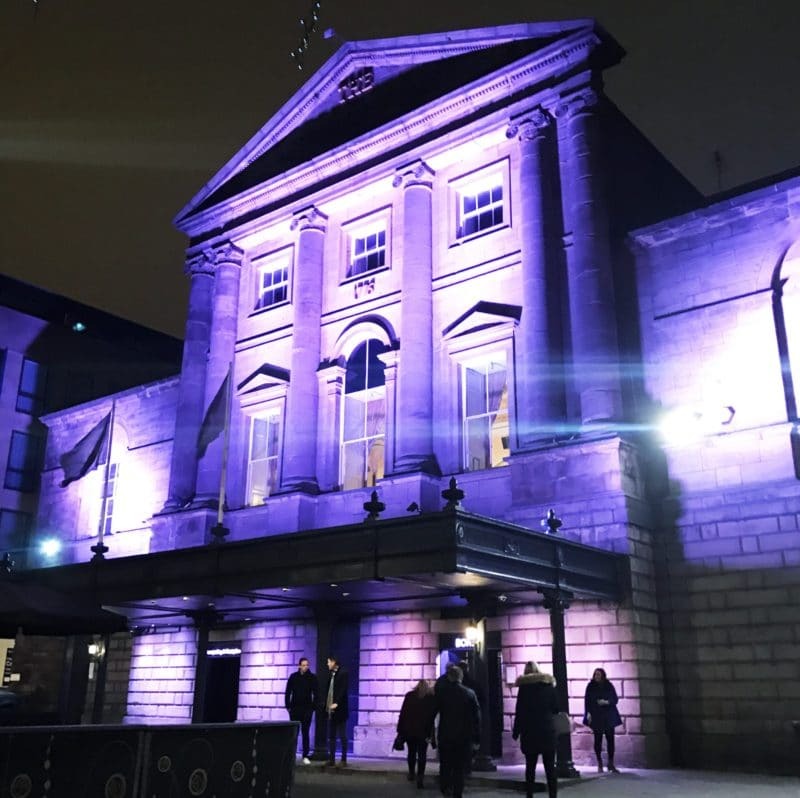 This fabulous hotel has a rooftop terrace that is available through private hire only, so perfect for a function or party in the summer. If I had an occasion to celebrate, this is where I’d be booking, to sip champagne with a view of the castle and city skyline. Right on the quayside Aveika has two different outdoor areas. 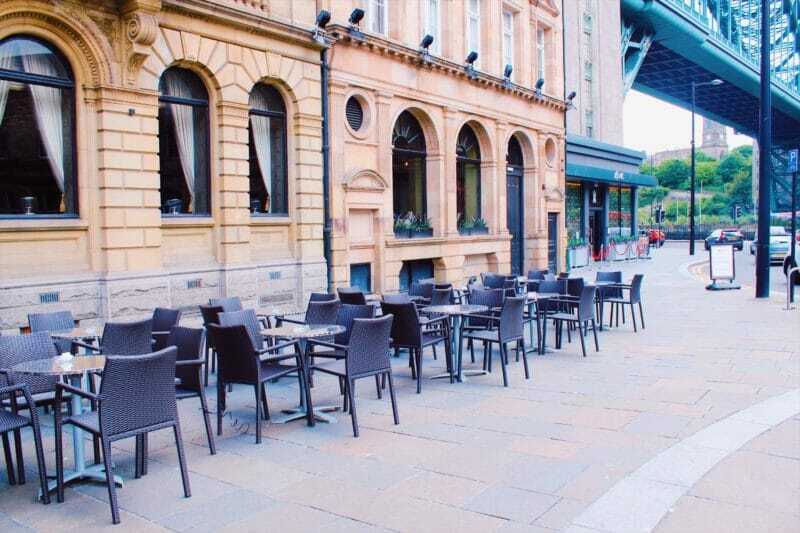 At the front there are tables through the day to enjoy a sushi lunch and a glass of wine with views of the Tyne Bridge, and at the back there is a more decked out area with seating and tables similar to Livello that is open late into the evening. I can’t recommend the food here enough by the way – find out more here. For proper pub food and ale brewed on site the Bridge Tavern is so good for comfort food and relaxed drinking. The rooftop terrace has a great atmosphere, right under the Tyne Bridge, and will easily be a spot you pass hours without even realising. Famous for it’s homemade pies and ale, the RedHouse is another impressive pub on the quayside with views of the Tyne Bridge. It doesn’t have a rooftop terrace, but instead has plenty of seating outside on the street. You don’t need to be high up to appreciate that view. Speaking of views, the one you’ll get from the abundance of outdoor seating at Pitcher & Piano right by the river is pretty unbeatable. A hotspot on any day when the sun is shining on Newcastle, what better place to enjoy the beautiful River Tyne, Baltic, the Sage, and of course the toon bridges. 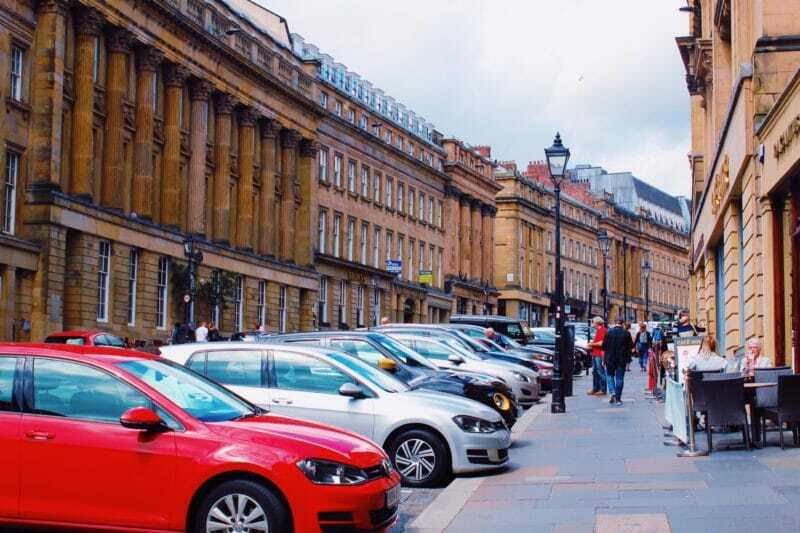 Visit the quayside markets or seaside on the quayside in summer, followed by lunch here and you’ve got yourself a pretty good Sunday. 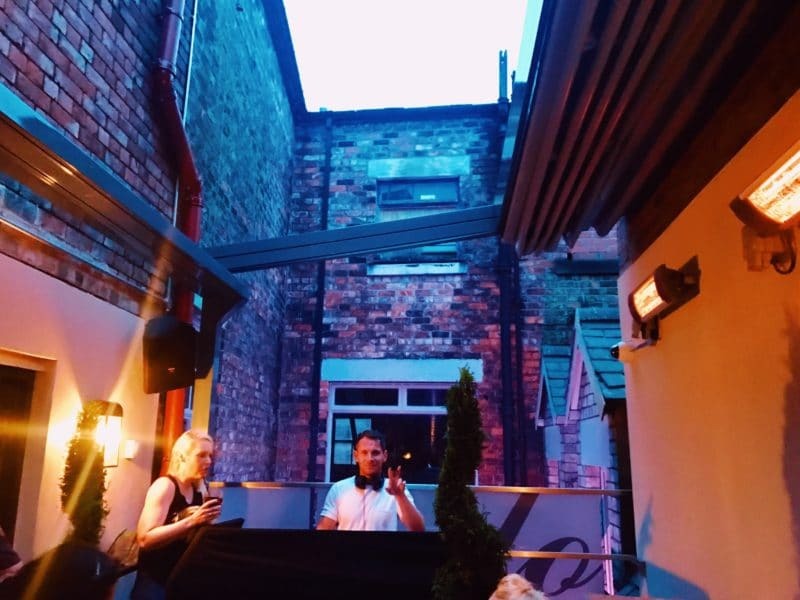 The rooftop garden at The Forth on Pink Lane is definitely a popular one in the summer, with space for drinks and alfresco dining if you fancy some good pub food in the sun. I tried a very nice rhubarb cider here last week, and I can see those going down a treat up there this summer. I like this outdoor space for how lovely the fairy lights make it look. 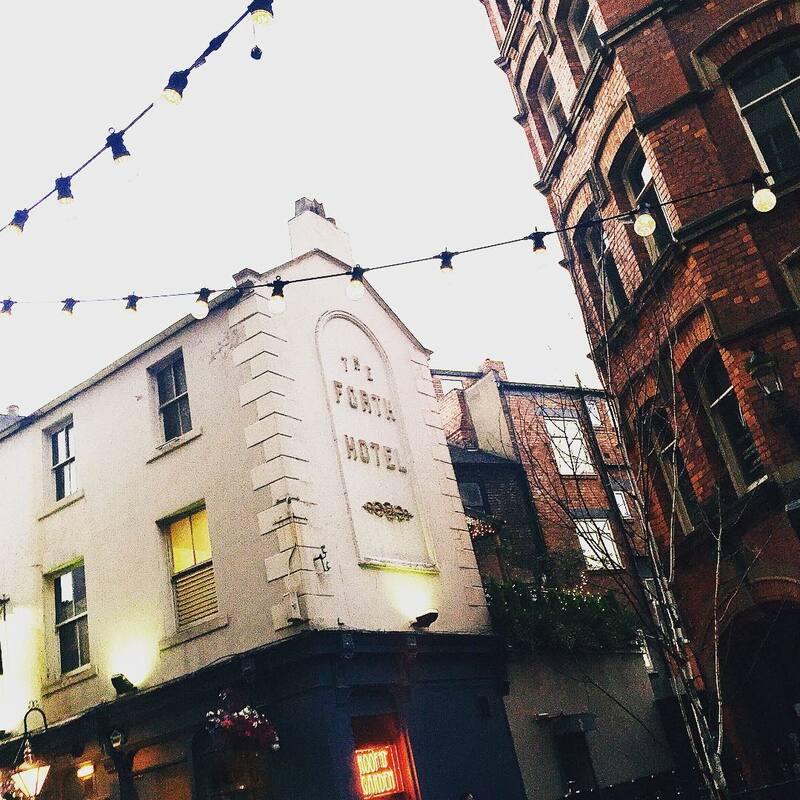 It might not be on the roof, instead you’re down by the cobbled street of this old area of Newcastle, but it’s another great spot for after work or with a group of friends. I wouldn’t say this is the most atmospheric, but its definitely one of the biggest outdoor terraces in Newcastle. Bonbar has a huge space right outside the front, with big umbrellas in case the weather is hit and miss. It is Newcastle after all. Tokyo has recently gone under refurbishment but is back open again now. I do like a Saturday night spent out on their rooftop terrace. Freezing in winter but sheltered in the summer its always packed so good luck getting a seat – but it’s worth the wait if you do. I can’t fault their mojito’s either! One of the only outdoor spaces that you go down to. This basement bar has outdoor seating outside, looking up at the street. It’s pretty intense inside, but the outside space is a good one to make the most of their cocktail offers on a Thursday night. 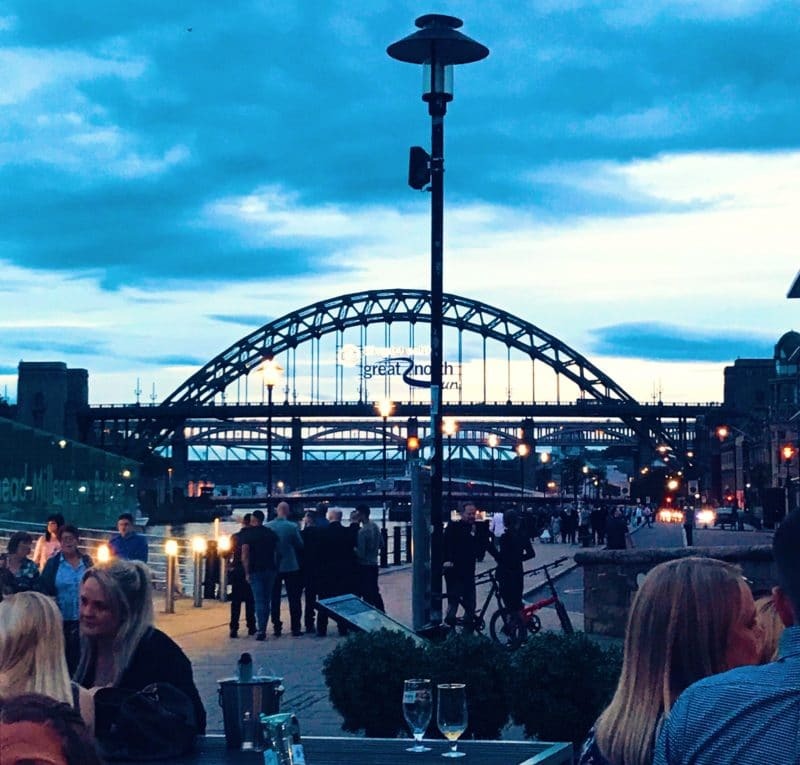 For a more casual or pub environment with plenty of outdoor spots then you can’t go wrong with any of the traditional alehouses at the Ouseburn. 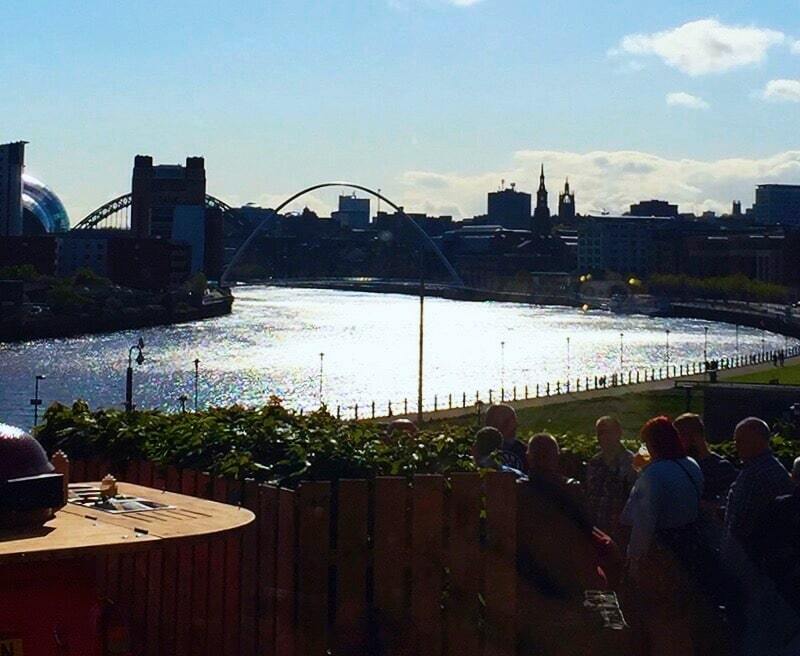 The Cluny, The Ship, The Cumberland, the Free Trade Inn and Tyne Bar are all simple but brilliant for a pub crawl in the summer. Outdoor spaces at all of them mean you can take the dog along too, and enjoy one of the many real ales on offer. 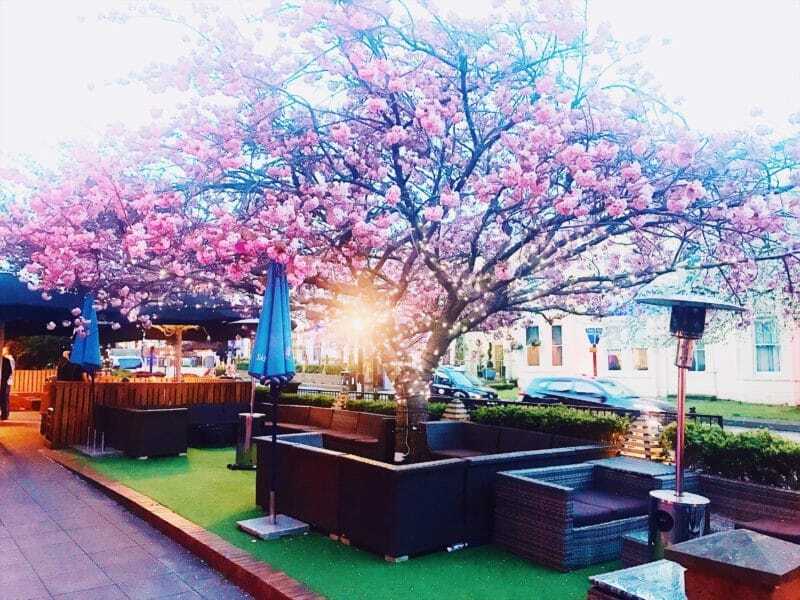 I can’t talk about bars with outside terraces without mentioning Jesmond, especially for those who make a beeline for it every bank holiday Sunday. You will see all sorts of sights along there, especially outside of Spy Bar. 97 & Social is another one, which is incredible value for money if you’re wanting some tapas style sharer plates too. My friends and I went here last year and spent the whole afternoon enjoying the happy hour cocktails. We are always surprised by how cheap the bill comes to. I can’t fail to mention Osborne’s either. The huge area of outside seating, with heaters for when it get’s colder later on, and right in the middle of Osborne Road makes it one of my favourites, as well as Jam Jar which serves some lovely gin cocktails. Whichever style of bar you prefer, you have plenty choice in and close by to Newcastle to spend the light nights and afternoon out. Have I missed any? Where’s your favourite? Soul on Sunday at Revolution, Newcastle! YES! I will admit the sunshine has completely gone to my head and I’m spending every spare moment looking out of the office window daydreaming about beer gardens! 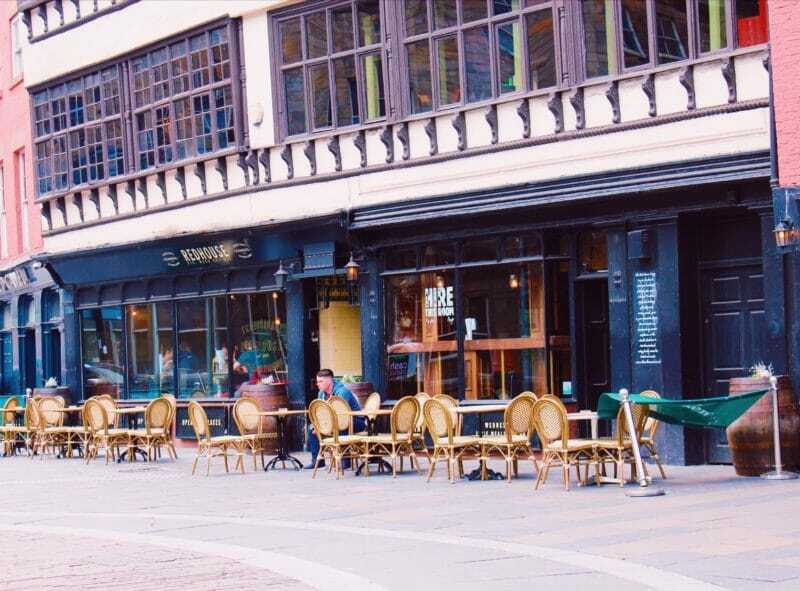 I’ve always been so jealous of everyone sitting outside on the tables on Grey Street when I stroll past during my lunch break in the Summer months, it always looks so lovely and I’m yet to try it for myself! Plenty here I’ve never been to so looking forward to ticking loads off my list when the sun shines! You can’t beat Ouseburn and Jesmond for proper Al Fresco drinking. 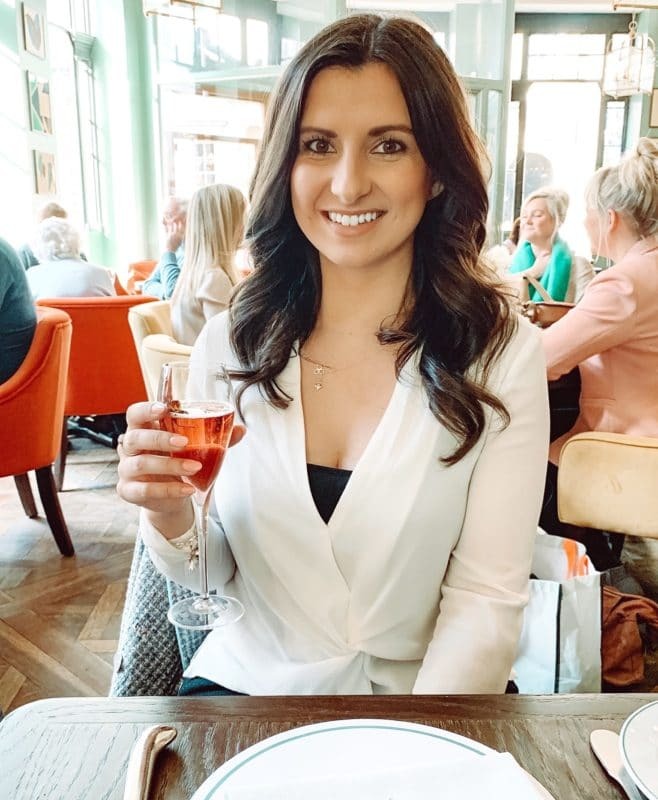 I love The Botanist roof terrace too (as long as you can avoid the cigarette smoke) and agree that Las Iguanas or anywhere on Grey Street is perfect for people spotting. 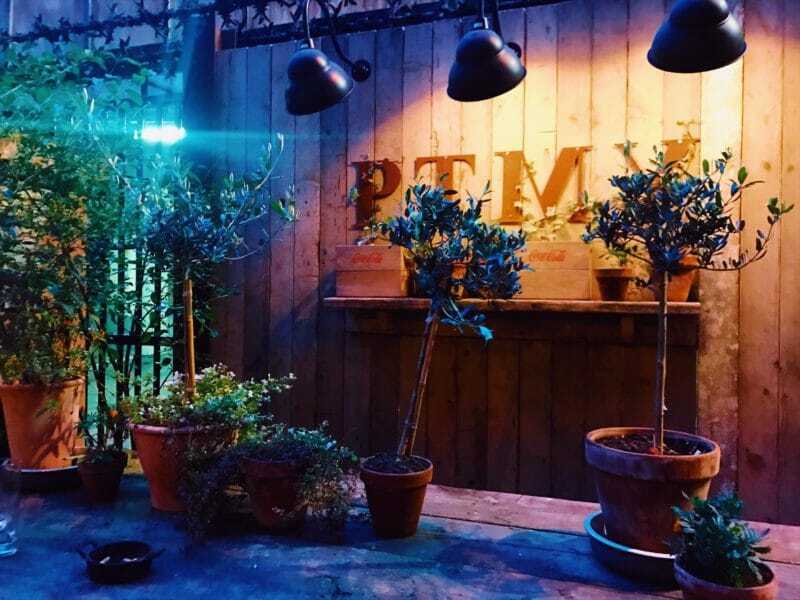 I’d add a little gem to this list – Motel One has a stunning hidden courtyard that opens in summer. It’s stylish, a sun trap and serves lovely cocktails and local beers. 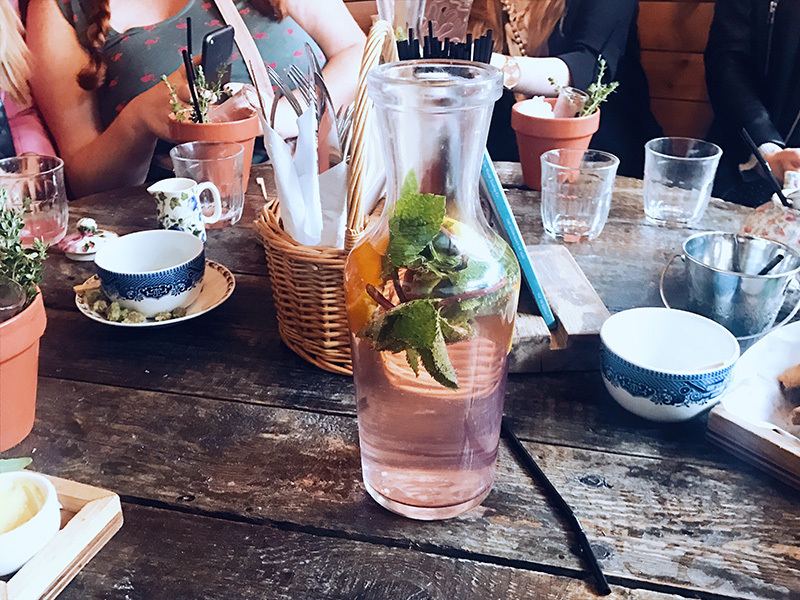 We always have a beer garden crawl around my birthday in July – start at Ouseburn, work our way along the Quayside and finish in the centre of town. Always one of my favourite days of the year.